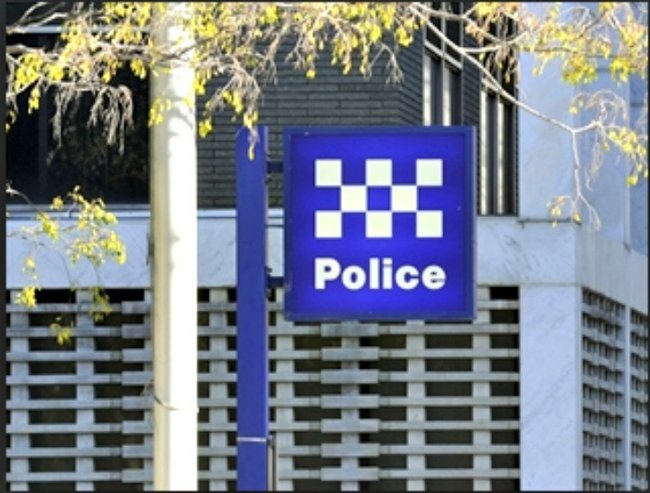 Rockhampton man and woman to face court over baby’s death. 1. Man and woman to face court over baby’s suspicious death. Two years after the death of an infant a man and a woman from Rockhampton will face court over the baby’s death. In 2013 an 11-week-old boy suffered serious and traumatic injuries at a private residence in North Rockhampton. He was rushed to Rockhampton Hospital but his injuries were so severe he was flown to Mater Hospital in Brisbane for treatment. The little boy died in hospital eight days later as a result of his injuries. A man, 22 has now been charged with manslaughter and cruelty to children in relation to the baby’s death. A woman, also 22, has been charged with child cruelty. At the time detectives interviewed a wide range of people including the boy’s family, but no one was ever charged. The nature of the infant’s injuries were not revealed. They will appear in court today. 2. Julie Bishop under fire for the use of a $30,000 taxpayer funded jet. Julie Bishop and her partner, David Panton. 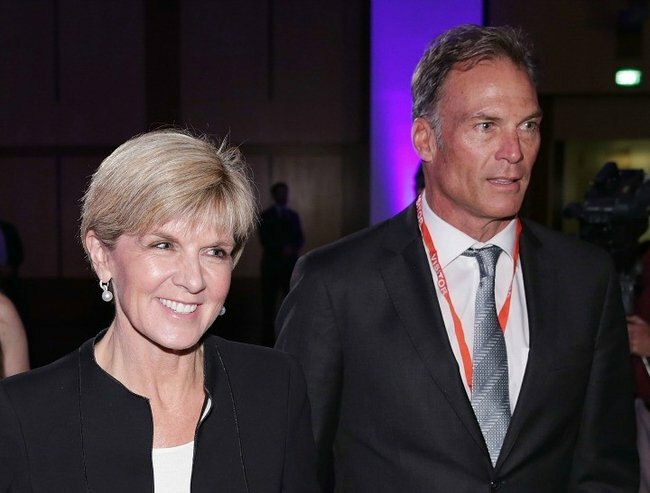 The Foreign Minister Julie Bishop has been asked why it was necessary to use a taxpayer funded jet to fly from Perth to Canberra in October. Ms Bishop and her partner David Panton were the only passengers on the taxpayer-funded RAAF Challenger Jet on an overnight flight to Canberra on October 18 reports The Daily Telegraph. Ms Bishop had represented Prime Minister Malcolm Turnbull at a private­ dinner for WA Telethon donors on the evening of the 18th October. The previous day she had announced $1.5 million in government funding at the WA Telethon. The Daily Telegraph has documents that show the nine-seater flew across the country empty on October 17 and then left Perth the next night at 11pm before arriving in Canberra at 5.50am on October 19 at a cost of around $30,000. According to the report Ms Bishop said she chose to take the VIP jet because the dinner finished too late to catch a commercial flight and still be back in Canberra for 7am ministerial meetings to begin the sitting week. Questions are being asked why she did not skip the private dinner and catch a commercial plane. 3. Oscar Pistorius could return to jail this week. Oscar Pistorius could return to jail this week. 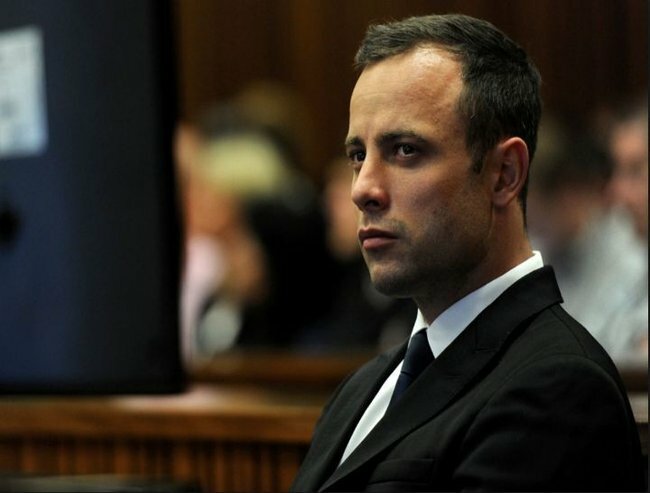 Oscar Pistorius could return to jail this week if an appeal to the South African Supreme Court of Appeal is successful and his conviction is upgraded to manslaughter. Pistorius was released on parole in October after serving a fifth of his five-year prison term for the “culpable homicide” of his girlfriend Reeva Steenkamp, whom he killed by firing four shots through a locked toilet door on Valentine’s Day 2013. Prosecutors said Pistorius, 29, should be convicted of murder and sent back to jail because he knew the person behind the door could be killed when he fired. A murder conviction would result in a minimum sentence of 15 years in prison. 4. Robert Xie jury unable to reach a verdict. The third trial of Robert Xie, the man accused of killing his brother-in-law’s Min Lin, Min Lin’s wife Lily, their two sons Henry and Terry and Lily’s sister Irene has now for the third time let Robert Zie go after a jury were unable to reach a verdict. It was the third time Xie has stood trial on the five murder charges after the juries in the two previous attempts last year were discharged. On July 18, 2009 newsagent Min Lin, his wife Lily, their two sons Henry and Terry and Lily’s sister Irene were bashed to death in their home in the Sydney suburb of North Epping. Robert Xie, 51 was arrested over the murders but denied being responsible. Yesterday, after the longest criminal trial in NSW history involving a single ­accused a jury declared they were unable to reach a verdict on whether or not Robert Xie is the Lin family’s killer. 5. Biggest health concerns for kids is from screentime. A study by the Royal Children’s Hospital has found that adults greatest concern for children is excessive screen time. The findings are being released as the first data collected under the Australian Child Health Poll and revealed today by News Limited. It listed excessive screen time as the greatest concerns parents have ahead of their fears of drugs, bullying, child abuse and suicide. Director of the Australian Child Health Poll, Dr Anthea Rhodes told News Limited “It tells us there is still a broader issue. We have scores of services devoted to the problems but there is still an unmet need,” Dr Rhodes said. “It is one of those problems where it can sometimes be easier to ignore than it is to address, because although it sounds like a simple problem it can be complex to address. The poll also found that parents did not see problems their own children had. “The fact only 8 per cent of parents said obesity was a big problem in their households suggests that they’re underrating that problem,” Dr Rhodes said. 6. Crew error blamed for AirAsia crash. 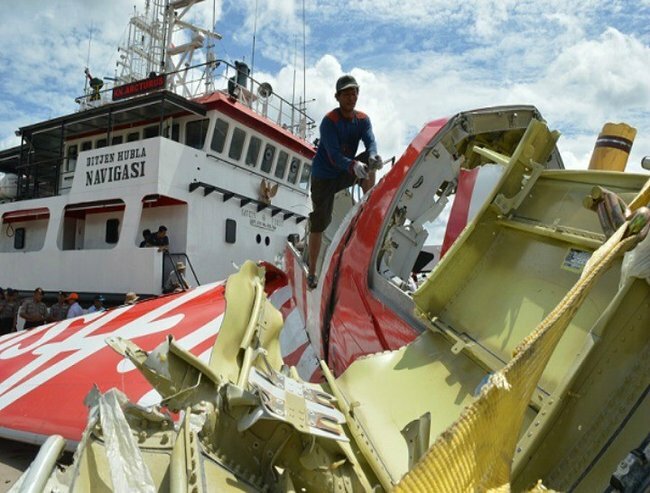 Debris from the Air Asia plane, pulled out of the ocean. Via Getty. Indonesian investigators say ‘crew action’ caused the AirAsia plane crash that killed 162 people last December. Flight QZ8501 was en route from Surabaya, Indonesia, to Singapore when it crashed into the Java Sea on December 28, 2014. A report by Indonesia’s transport safety committee says that a computer fault and subsequent crew actions were among the factors that led to the crash the plane. ‘Subsequent flight crew action resulted in an inability to control the aircraft … causing the aircraft to depart from normal flight envelope and enter a prolonged stall condition that was beyond the capability of the flight crew to recover,’ the report said. 7. Father arrives at childcare to find it locked, the staff gone and his son still inside. A father from the NSW Blue Mountains arrived at his son’s childcare centre to pick up his son found the centre locked and the staff gone home for the day. The father called the police to Little Smarts Daycare Centre in Blaxland, in the Blue Mountains, who needed to force themselves into the property to reach the child. Seven News reports that the boy was found safe and well and surprisingly, the baby’s parents are not considering looking for a new childcare centre. The centre’s owner told Seven News the child was only unattended for 20 minutes due to a miscommunication between staff and that more checks were being put in place to avoid a repeat. His parents said in a statement they were “very happy with the childcare centre and continue to use it”. 8. Tim Tam wars after Coles refuses price rise. 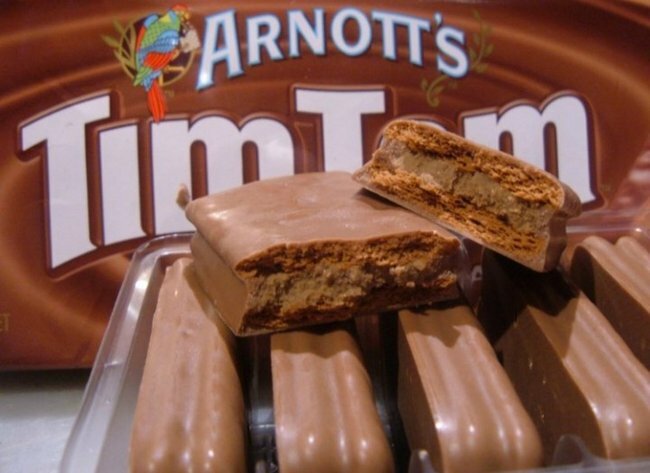 A day after Arnott’s – the makers of Tim Tams reportedly refused to supply Coles with six varieties of the biscuit after the supermarket refused to accept an ‘unjustified’ 10 per cent price increase Coles rival, Woolworths has hit back by discounting the price of Tim Tams to $2.50. Coles has then fired its shot in the war by offering a deal of two packs for $5. 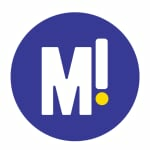 In October the dispute began when Arnott’s demanded price rises of up to 10 per cent for items including Scotch Finger, Teddy Bear, Monte Carlo and TeeVee Snacks. Coles refused and so Arnott’s stopped supplying the supermarket with the Tim Tam multi-packs as well as the coconut cream, choc-raspberry and salted caramel varieties. 9. Top Baby names of 2015. The top baby names of 2015 are out and there are some beauties. For the third year in a row the top three names for girls are Sophia, Emma and Olivia and for boys Jackson, Aiden and Liam. The list is based on the names of 340,000 babies born to parents registered on BabyCentre. BabyCenter found a “royalty” trend with royal themed names like Duchess, Sultan, Reign and King all jumping the ranks as well as an Instagram trend. “We were a little surprised by this,” Linda Murray, BabyCenter’s global editor in chief, told TODAY on the trend of parent’s naming their babies after Instagram filters. Lux is up 75 percent in popularity since last year, while Ludwig is up 42 percent. Aside from the filter names there are some other unusual ones making the list. According to Baby Centre among the quirky names were Swayze ,Orson, Inigo, Armani, Drishti, D’Artagnan, Oden, Apollo and even Messiah.